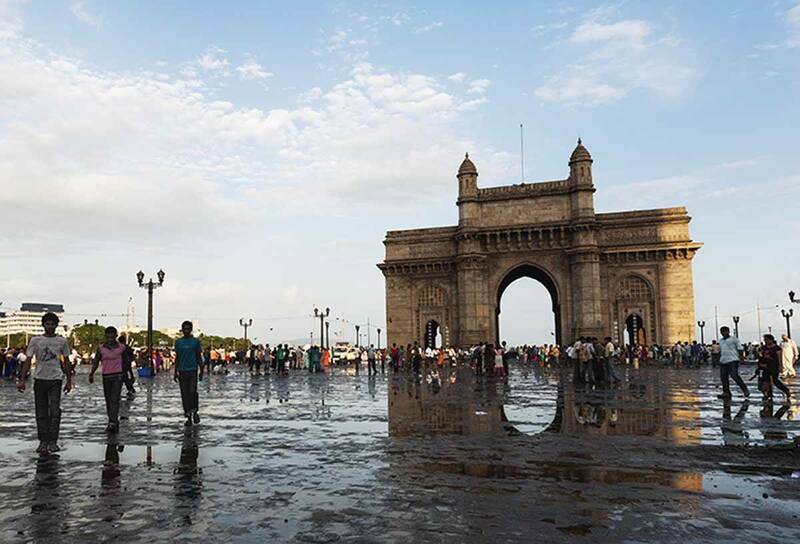 June is nearing to an end, and with it we’ll leave India for destinations closer to home. Before we go, let’s say goodbye to this land of mysteries, trying to inspire you to visit soon. Here’s our Ultimate India Itinerary! Or Bombay, or whatever. Our first port of call in India. Even though it felt as if we had already been there, reading Shantaram, one of our favourite books ever that we highly recommend if you’re travelling to India. Bombay was the India we imagined. Chaotic, yet charming. Colourful and smelly. An assault on the senses, a cultural shock, yet a place that we felt was very close and familiar to us. We loved sitting for hours by the Gateway of India, eating vada pav and pretending to be celebrities as people waited in line to have their pic taken with us. I wanted to be a Bollywood celebrity, and we spent the whole week we were there pacing back and forth the Colaba streets, hoping to be spotted by an agent. No luck. Maybe next time. 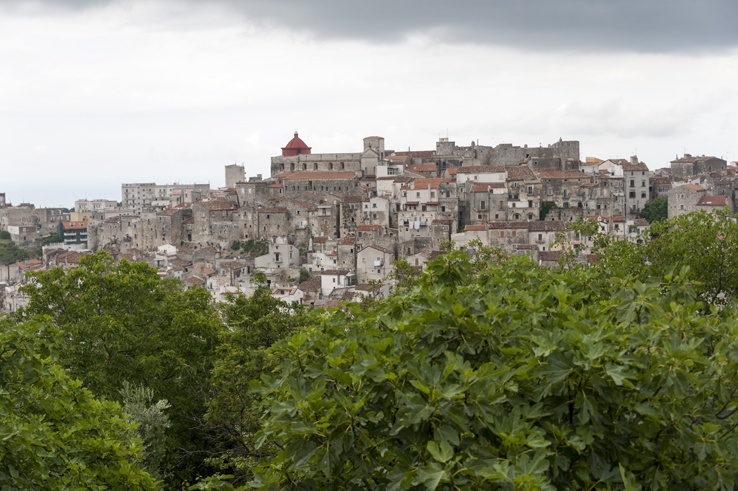 Why should it be on your itinerary? It’s a great introduction to India, less than a culture shock than Delhi or Calcutta. The colonial influence is still present, especially in areas such as Colaba and Malabar Hill. Wandering around the seaside promenade at Chowpatty Beach is a great way to finish the day. Mumbai is also the ideal place to plan your Indian adventure and get all essentials you might need, like a sim card for example – here’s a great article explaining how to get a sim card in India! We’ve already talked about the Golden Temple of Amritsar in our India in Five Sacred Sites post. Not only was it a stunning place, it is also a place where we’ve encountered genuine hospitality. A must-see for all visitors to India. Accommodation and food in the Golden Temple complex are donation-based, making it a a budget-friendly destination. The main city in Ladakh. Leh. Oh, Leh. The memories of you are enough to move me. The sheer beauty of your mountains, the infant Indus roaring through the valley, monasteries perched high up on the mountaintops, wrapped in prayer flags. There are a thousand and one reasons to visit Ladakh, the northernmost corner of India, high up in the Himalayas. Wonderful trekking, the presence of Tibetan culture, the mellow atmosphere, the beauty of Buddhist monasteries… I could go on forever. 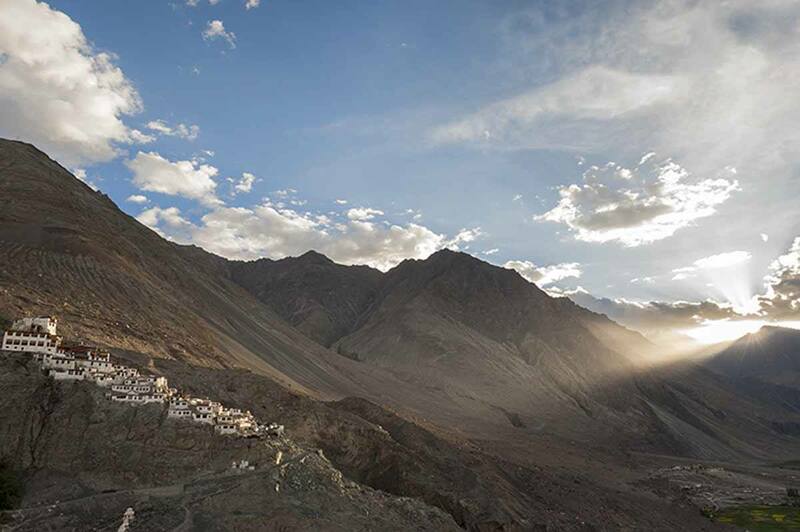 Ladakh was one of our all-time favourites. If Ladakh is the northernmost region in India, this is its northernmost corner. Nubra Valley lies on the other side of Khardung La, the world’s highest motorable pass at 5,359 meters (even though it is debated). The place is stunning. It’s a high-altitude desert, with rocky mountains, crisp air and deep blue skies, and a valley covered in sand dunes. 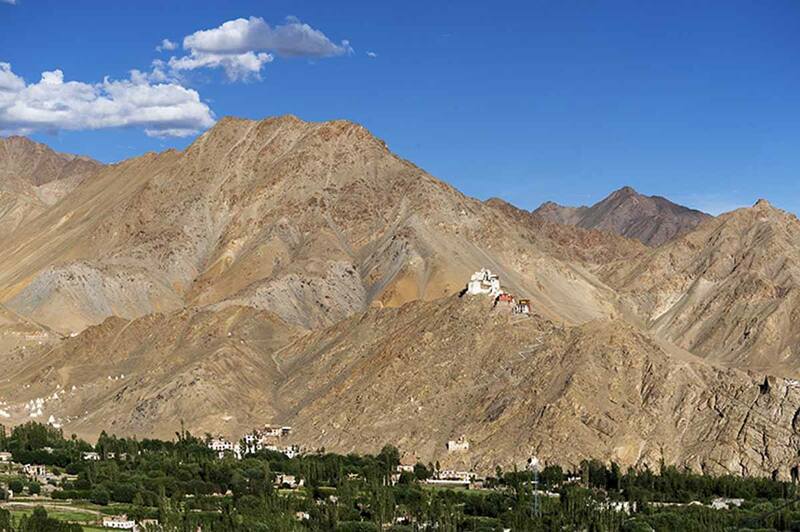 We travelled to Nubra to attend some teachings with the Dalai Lama. I have no words to describe what a moment it was, being close to a man that shaped the history not only of his people, but of the world as a whole. To take an epic selfie at Khardung La? If you’re so inclined, why not. Or just look at the picture. Need I add more? Pangong is a high-altitude lake in Ladakh, straddling the border between China and Tibet. It’s a very remote place; there’s little on its banks besides a few scattered huts and some camps to spend the night. The sight of its milky-blue waters between the mountains is one of the most beautiful we’ve seen. There’s nothing there. Nothing. Just you, and nature. This one is a little tricky. Because it’s beautiful. Because it’s remote. With only one monthly bus going there (on the 15th of each month), it does indeed require planning. You could also boast to your friends you’ve taken the slowest bus ever – it takes just over 12 hours to cover the 150 kms between Leh and the lake. From the furthest north to the deep south of India. We move to Kerala, the land of tea and spices, of the backwaters and colourful folklore. 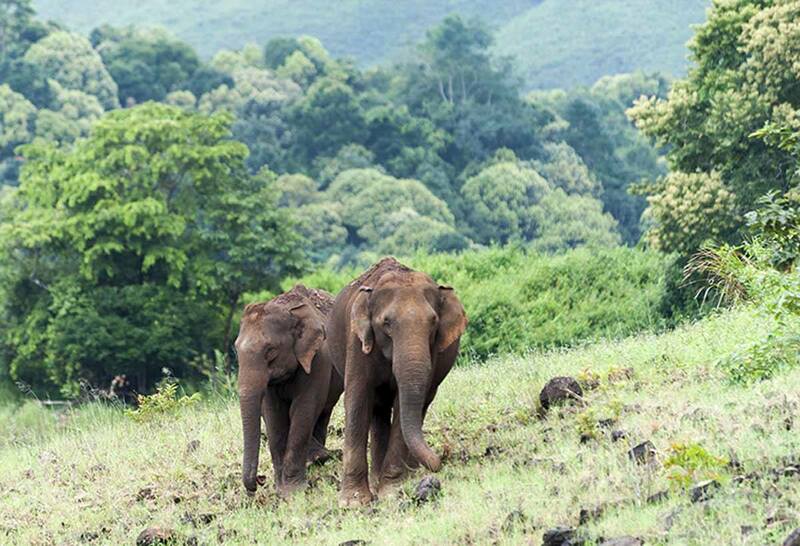 Periyar is a great national park, near the village of Kumily, on the border between Kerala and Tamil Nadu. The village was worth a wander, with loads of ayurvedic massage schools and spice gardens, but the park is what we liked best. You can either take a walking tour with a local guide, or a boat tour. We did both and loved both experiences. The boat will remain in our hearts forever, though, as it was there that we first saw a wild elephant. 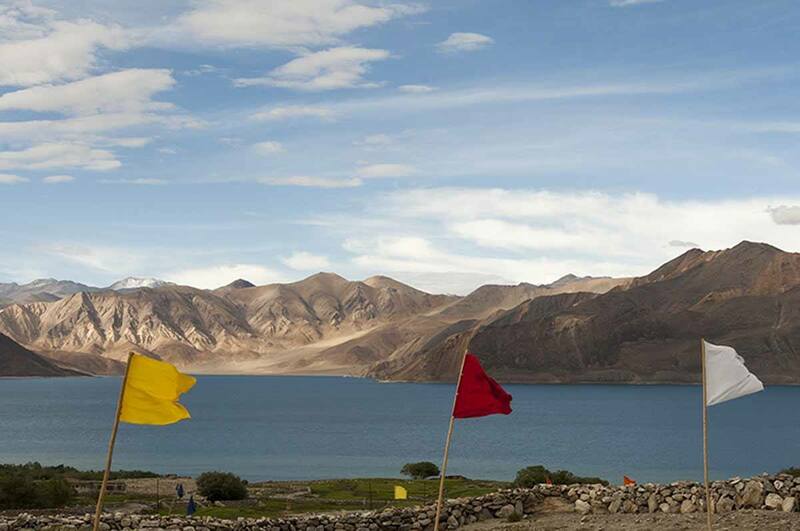 Unless you have plenty of time, it would be hard to fit both Kerala and Ladakh in the same itinerary. The solution? Choose one, then start planning your next trip to India. Kerala (and Periyar in particular) offers a great opportunity to get close to nature, and not everywhere you have the chance to see wild elephants. One of our favourite festivals of all time! read our Pulikkali post to know more about it. The festival takes place in the town of Thrissur, in Kerala, around mid-August. Pot-bellied men parade around town dancing, in tiger body paint. Great fun! I’ll say that again. 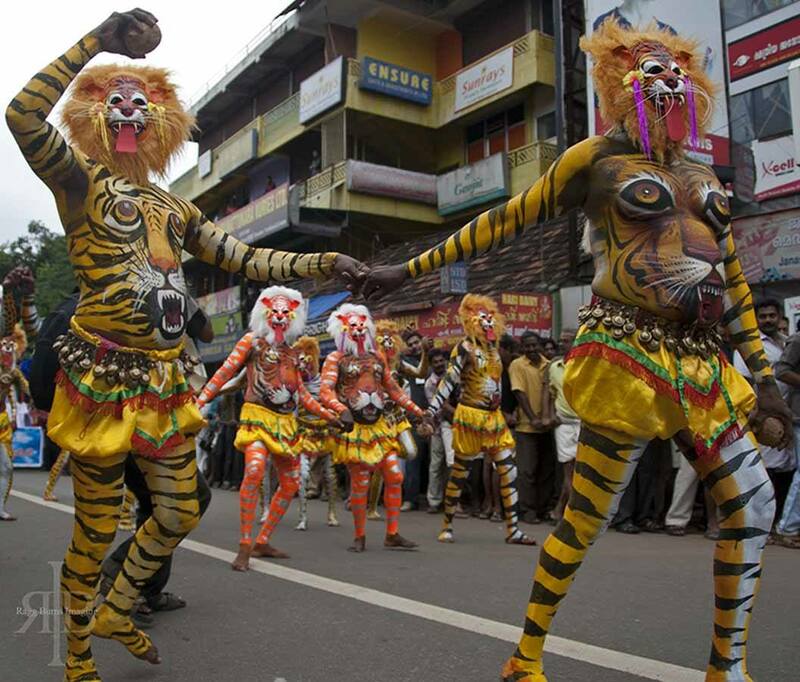 Pot-bellied men parade around town dancing, in tiger body paint. Sounds like a good enough reason, doesn’t it? This was one of the most spectacular roads we’ve ever been on. 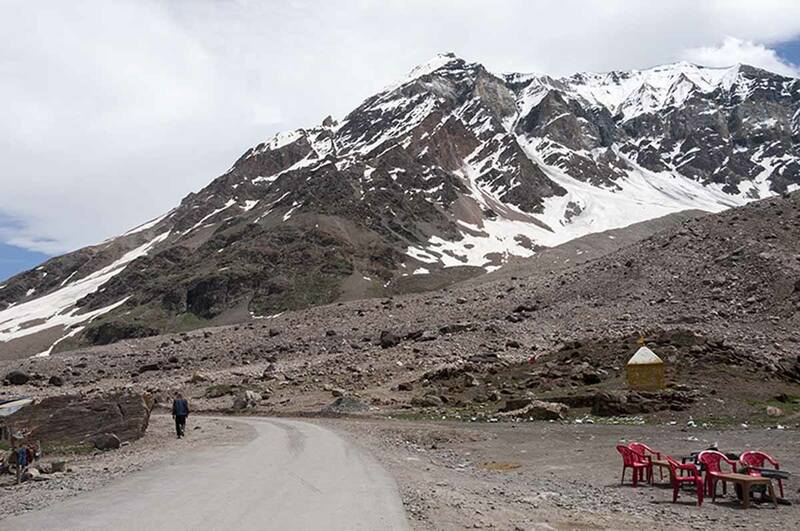 It joins Manali, a popular mountain village in the state of Himachal Pradesh, to Leh, the main town of Ladakh. It was unpaved when we visited, and it took two days to cover the 400-odd kms between the two towns. We took a bus then a van, which drove up and down hairpin bends at hair-rising speed, while the drivers happily puffed on joints. Sounds scary, right? The landscape was absolutely stunning, and funnily enough, I was totally relaxed. Because it would be one of the greatest road trips of your life! Everyone knows India and Pakistan are not the best of friends. 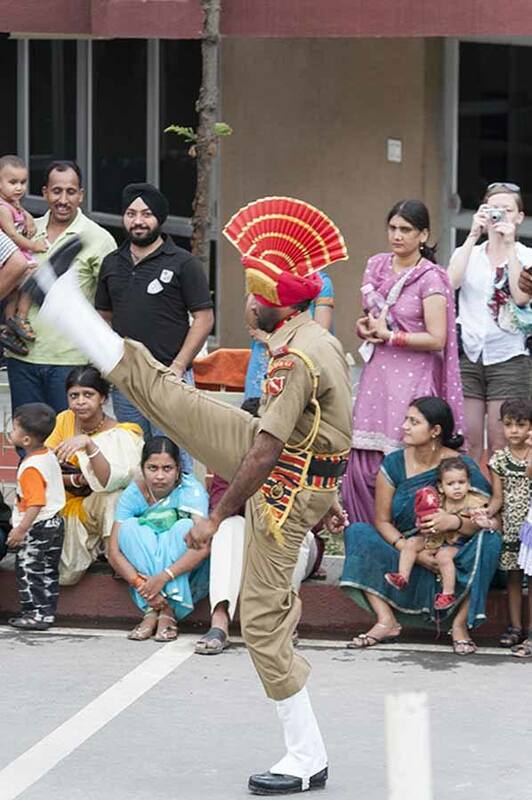 Visit the closing ceremony at the Indo-Pakistan border at Attari Wagah and you’ll see what I mean. It’s a Monty Pythonesque show of frogmarching, leg-raising, yodelling, staring and essentially trying to outdo one another. Great fun, if one didn’t know history. Leaves you with a bittersweet feeling. Rajasthan is full of forts, fortresses, citadels and city palaces. We spent three weeks touring Rajasthan, visiting many of these, and discovering some curious places; have a look at our Quirky Rajasthan post! The place we loved the most in the state was Amber Fort, just outside Jaipur, the capital city. Jaipur, the pink city, is wonderful, and full of great sights such as the City Palace and Jawa Mahal, the palace of the winds. But Amber fort is what took our breath away. 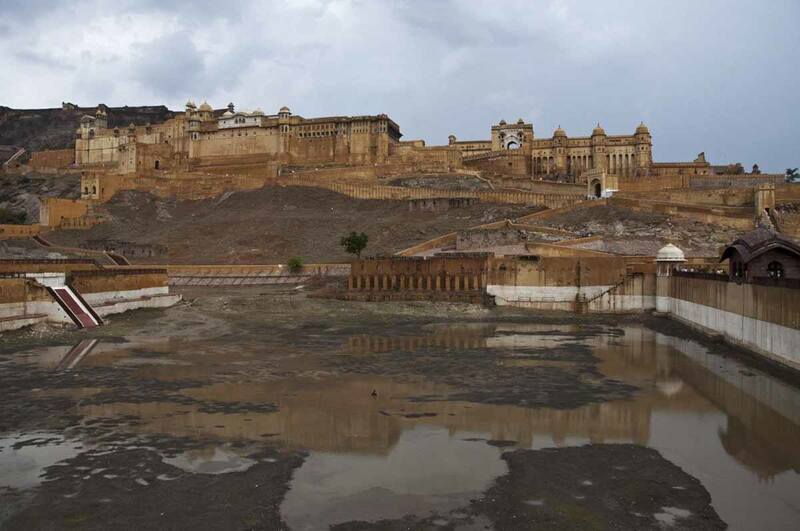 We visited just after a monsoonal downpour, and the pools of waters reflected the fortress creating beautiful perspectives. We loved how real it felt. Couples kissed in dark corners. Women clad in colourful saris pushed their children on strollers. There was no sign of the poor elephants that supposedly ferried tourists up the (tiny) hill atop which Amber stands. Because Jaipur is a great destination to begin with, and this fort is stunning. 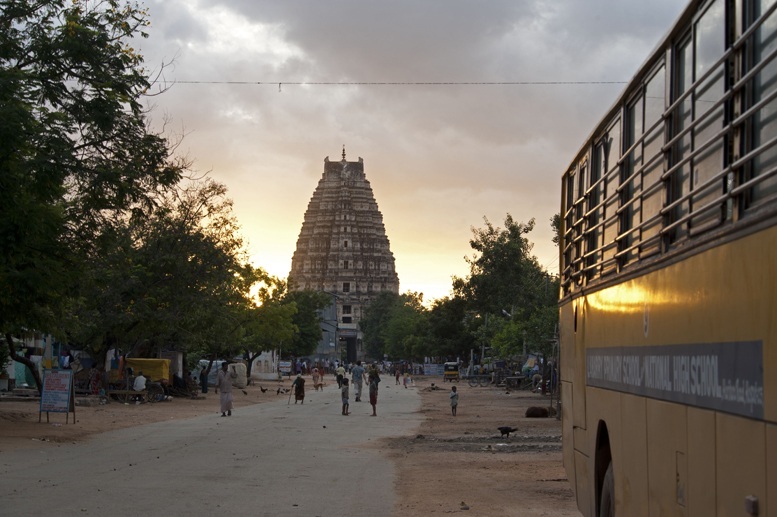 Is it too late to save Hampi? Nice list, India is so vast that no one can see everything that is there to be seen, your list covers some of the nice gems, and your reasons are great as well. Thanks! It wasn’t really meant to be the itinerary for one trip, more like inspiration to plan your next adventure! Glad you liked it. Great list, but where’s Agra? You cannot go to India without seeing the Taj, it is obligatory! ;D There are just far too many amazing places in India for one list! You’re so right Mike! I thought Agra went without saying. So much to see in India, this is just one of many possible lists. Leh in Ladakh looks so unique and beautiful. That region is mentioned multiple times on this post, so you guys must have really enjoyed it. I might The above suggestions really are a nice mix of city, country and culture. Have you visited Goa? That is high on my list of places to see in India due to its Portuguese past, but I hear mixed reviews. Hey Dave! I didn’t get to go to Goa. The monsoon was on in full force and we decided to skip it, but I would love to visit for the same reasons. I also speak Portuguese and love Portuguese culture. Thanks for stopping by! What a geat roundup on an month if India, here at The Crowded Planet. I still cannot believe that there is only one bus a month going to Pangong. It just brings a little feel to how remote this lake must be. Great! Sorry to hear that you missed an opportunity to make it big in Bollywood :). Next time! Shame, I’m still gutted for not having made it in Bollywood. I planned my moves, bought a shiny sari for the preview… nothing. Anyway, India is amazing! Very thorough list of some popular places to visit in India but also many that seem more off the beaten path (well, for me, they do!) Elephants are my favourite animal and I can imagine how seeing them in the wild like that would be so special. Thanks Alli! 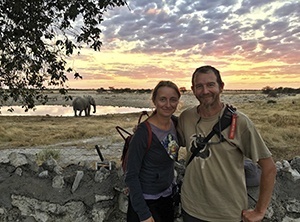 Seeing an elephant in the wild is really an amazing experience, you would love it! Putting together a list for a country like India is a massive undertaking. You sold me on Pangong. One bus a month? Hey Bob! This is probably just one of loads of possible itineraries, but any itinerary should include Pangong. I think the bus goes on the 15th of each month. Thanks for stopping by! Thanks for featuring destinations in northern India. When I think of India I typically think of Mumbai, Agra and Rajastan and Kerala.You’ve made me aware of yet another dimension to this diverse country! Hey Brianna! Thanks for stopping by! There’s so much to see in India, even in my 4 month trip I just scratched the surface! Wow some incredible pictures here. That first one if stunning. Nice to hear about India in such a positive light. You really painted it as such a diverse place with something for everyone. And no pictures of the Taj Mahal! You make me want to visit for the wild elephants alone. Hey Siobhan! Thanks for stopping by! India is really amazing. You should go! 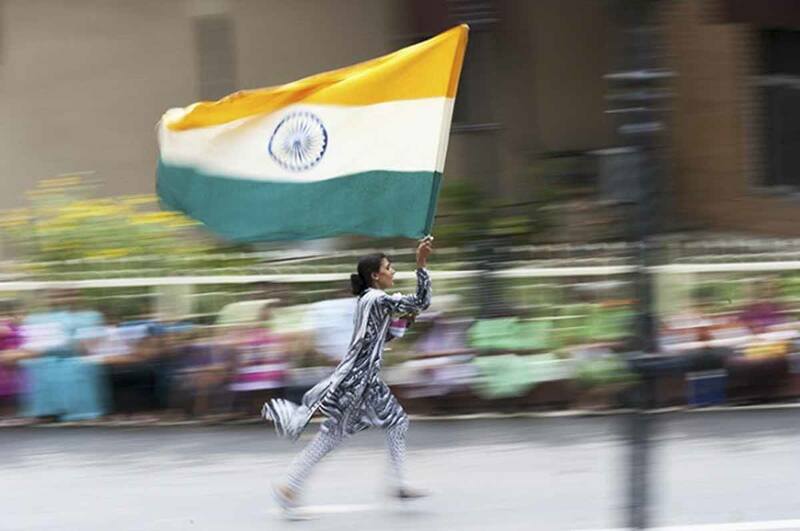 That is an awesome photo of the woman running with the flag! One of the best travel shots I’ve seen in a long time actually. Hey Charlie! We were in India for four months and that is probably what we recommend for this an itinerary. Of course, given it covers several areas, some very distant from others (i.e. Kerala-Ladakh) so you could even split it into two or three thrips. Glad you like the flag pic. It was also taken at the Indo-Pakistan border. Cool list. I would love to visit the Golden Temple. So far I have only been to Jaipur, Dehli, Pushkar, and Agra. Thanks Chanel! So much to see and do in India, and the Golden Temple is fantastic! hey Anto! Well, calling Leh a city was kind of generous. It’s more like a big village, and the nature is so stunning that I’m sure you’ll love it! Thanks for stopping by! Thanks Surya! Glad you liked the post, I still have’t given up on being a Bollywood star! 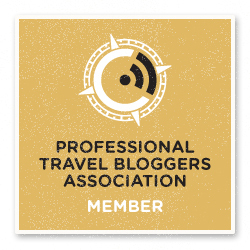 Loving the photos on your blog and yes, great list too. Safe travels! Thanks! Glad you liked the pics. Thanks for stopping by! So true! Sometimes it’s hard to get out and see when you’re visiting family. It’s the same when we go to Australia, we never get to see much. Thanks for stopping by! I’m sure you will go Elena. Someone with your spirit will love India! Thanks for stopping by! That’s quite a varied itinerary! I’ve only been to Delhi and Chennai and found them a bit overwhelming – if I go to India again I’ll have a look at some of the places you suggest. Hey Karen. It can be overwhelming, but also amazing on so many levels. Definitely an experience that grows on you after you’ve gone. Thanks for stopping by! Hey Christina! Delhi can be a shock indeed, but I still loved the city. Thanks for stopping by! hey! Leh is beautiful, I’ll be doing a Ladakh focus later on this year so stay tuned. Thanks for stopping by! Hey Rashad! India is indeed amazing. I got my visa in Bangkok, from a visa office downtown. Application took about a week, don’t know if they still do it? Hope it helps! Thanks for sharing so many useful travel tips about India. I will keep them in mind. Thanks Bente! Hope you get to go one day. Thank you for stopping by! Glad you liked the post and pics. A great list of places to visit in India with a few I didn’t know about as well which is great! I found out my ancestors came from India and every since I have wanted to visit. So now at least I have an itinerary of places I should visit when the time comes in the near future. Looks like you had a great trip around this beautiful country. Wow, that would be make India more amazing! Feel free to send me a message if you want some more India tips, and thanks for stopping by! What a great round up of your Indian adventures. So many diverse places to check out! Thanks for stopping by Adelina! Glad you liked the post. Hey Brad. You should go to Leh too, now it’s the perfect time! The first pic was done using a technique called ‘panning’, moving your camera at the same speed the target moves. My husband did that, not sure I’ll be able to recreate it! Thanks for stopping by! You should Ashley. Send me a message if you have any questions! Thanks Tracie! You’re so right, unless you have months available for your trip, you can’t possibly fit it all in, but you can do more that one trip! This is a helpful post, I was thinking of heading to Ladakh in a couple of months, this pretty much confirms it! I’ll have to get some more information about that isolated lake, looks great! Thanks Jempi! Would you like to perform? If you do, let me know and I’ll go back to cheer for you! My goodness, it looks like you covered a lot of ground. 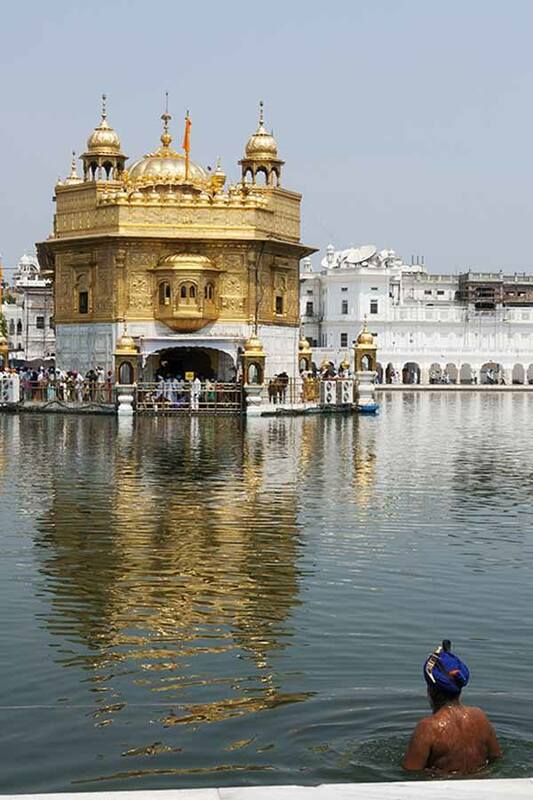 I havent been to India yet but I have been dreaming about seeing the Golden Temple for the longest time. Hopefully soon. What amazing suggestions for an incredible India adventure! I would be happy to see any of these places. I love the views of the mountains. Thanks Lauren! India is such an amazing country, I’m glad you liked the post! Hey Angela! You could take more than one trip to India. Even during our 4 month stay, we barely scratched the surface of what there is to do and see! Thanks for stopping by! You should go Emily! If you like adventure, you’d love India! Thanks for stopping by! Nice list – have yet to go to India. Most of us associate it with crowded cities full of cows and beggars so it’s nice to see all the nature spots you’ve covered. Some great photos. Thanks for your comment Frank! There’s so much natural beauty in India! Great ideas for exploring India- I’d love to explore the area around Leh. It sounds fantastic and it must be nice to get out of the cities for a while. You’ll love Amritsar with your kids. Actually, I can’t wait to read about it!